Dallas – Yefa Bedane has his priorities in the right order when it comes to security: “Be alert, observe and report.” This is why Yefa, a four-year veteran in the security industry, is the officer of the quarter for Blackstone’s Division 53 in Dallas. Phoenix – Azem Shah is the Officer of the Quarter for Blackstone’s District 32 and for good reason. Azem is a stickler for details. Not only does he like to know the layout of his surroundings, but also the personalities and habits of the people who inhabit those surroundings. 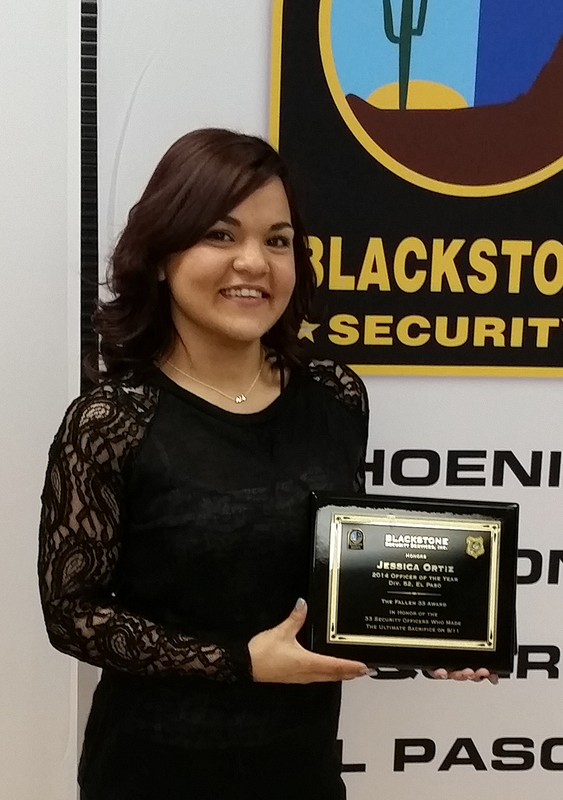 Phoenix – Blackstone Security Services, Inc. El Paso Division 52 security officer Jessica Ortiz has been given the Fallen 33 Award for being named the company’s 2014 Officer of the Year.